Our children are sometimes taught about the famous war cries of American history, but do they learn all of them? Remember the Alamo This was the war cry for Texas Independence when 186 men held up in a Spanish mission fought and gave up their lives against over 3,000 Mexican soldiers. They were trying to buy more time for Sam Huston to raise an army to fight the Mexican Army. Remember the Maine This was the war cry of the Spanish American War when the USS Maine was blown up in Havana Harbor, Cuba. Because of its sinking, the US was plunged into war. Remember Pearl Harbor- This is one of the most famous war cries known today. This was in response to the Japanese attacking Pearl Harbor on December 7, 1941. Over 2,000 men lost their lives on that early Sunday morning. When it comes to the very first battle cry known, such as the Battle Cry of the American Revolution, most people do not know what it was or didn't know there even was one. It was: No king, but King Jesus. Where did it come from and why? As stated in the Declaration of Independence there were 27 grievances the colonists had against the king of England. The only one that most people know today is: Taxation without representation. King George III was slowly taking all of the colonists rights away. Ministers were preaching across the land and taking part in protesting against England concerning the rights of American colonists. One such minister was Reverend Jonas Clarke. Clarke was Lexington's minister. He married Lucy Bowes and was close friends with John Hancock who was actually Lucy's first cousin. Thirteen children were born to Lucy and Jonas. Clarke became leader of the militia in Lexington. 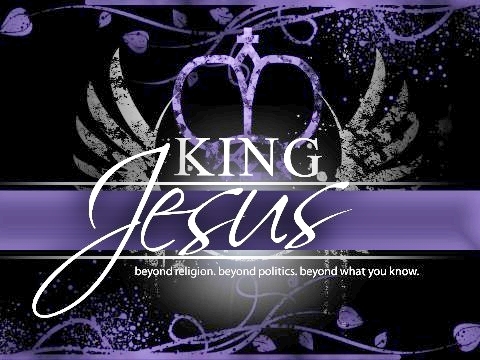 "We recognize no Sovereign but God and no King but Jesus". The Committees of Correspondence sounded the cry across the Colonies: "NO KING but KING JESUS. Many books today that have saturated our schools and universities are telling our young people that the revolution had nothing to do with religion and that most of the founding fathers were atheists or agnostics. When one reads some of the writings of the past, they will know that what is being taught today is nothing but a lie. One of those documents of the past is the U.S. Constitution.In Article VII, the founders of our nation stated that the United States Constitution was done in Convention by the unanimous consent of the states present the Seventeenth day of September in the year of our Lord one thousand seven hundred and Eighty seven . . . thus acknowledging Jesus Christ as the Lord of "We the People of the United States" and as the God of this land.Our Founding Fathers chose each word, each punctuation of the Constitution with exactness subjected to the scrutiny of the finest minds ever assembled at one time. They had one purpose guided by the fasting and prayers of themselves and the people. They knew and our enemies understood the significance of recognizing Jesus Christ. This nation, our Republic, is founded on Jesus Christ himself. The enemies of our freedoms have practically without challenge, moved unrelentingly to destroy, eliminate and pervert every last symbol, reference or practice of Christianity in America. Patrick Henry boldly declared: "It cannot be emphasized too strongly or too often that this great nation was founded, not by religionists, but by Christians: not on religions, but on the Gospel of Jesus Christ. For this very reason people of all faiths have been afforded asylum, prosperity, and freedom to worship here. Most Americans are brainwashed by our atheistic school system and are basically ignorant of our Christian heritage. Samuel Adams declared: "We have this day restored the Sovereign to whom all men ought to be obedient. He reigns in heaven and from the rising to the setting of the sun, let His kingdom come. Mr. Meacham of the House Committee on the Judiciary reported to the Congress of the United States of America on March 27, 1854: "Down to the Revolution ... it was deemed peculiarly proper that the religion of liberty should be upheld by a free people." Benjamin Rush described himself: "I have alternately been called an Aristocrat and a Democrat. I am neither. I am a Christocrat." Lewis Cass was an American soldier, lawyer, politician and diplomat. After serving in the War of 1812, he became the Governor-General of the Territory of Michigan where he made treaties with the Indians, organized townships and built roads. He was a United States Senator, Secretary of State under President James Buchanan and the Democratic Candidate for the Presidency in 1848. Lewis Cass stated: "Independent of its connection with human destiny hereafter, the fate of republican government is indissolubly bound up with the fate of Christian religion, and a people who reject its holy faith will find themselves the slaves of their own evil passions and of arbitrary power." For over one hundred years school children across America have known the Battle Cry of the American Revolution. In one generation it has been successfully removed. Even though America is not to be compared to Nazis Germany, when Hitler came to power he controlled what the school children could read concerning their past. Anyone or anything that thought about attacking his plan was removed or rewritten. Even book burnings included the Bible. Today, I work in the very school I went to as a youth and I see the atrocities of what our youth are going through in the name of academic freedom. What we are seeing is a generation with no hope or vision. May God raise up a few who will seek their Godly heritage and once more proclaim a new Battle Cry.